Back in business… in Budapest! For the very first ITTF event of 2019, several stars are on show at the Seamaster 2019 ITTF World Tour Hungarian Open. World no. 1, FAN Zhendong, enters the action on Thursday looking to defend his Hungarian Open title. A big year for Table Tennis fittingly begins in Budapest! Between 21-28 April 2019, the Hungarian capital will be hosting the sport’s most prestigious event, the World Championships. 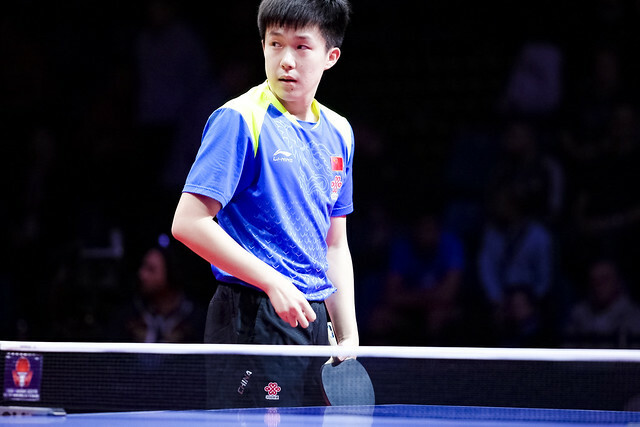 Now is no ordinary dress rehearsal, however, as the Seamaster 2019 ITTF World Tour Hungarian Open (concluding Sunday 20 January) is a major event in its own right. It is here that we kick off a new year of exhilarating Table Tennis action in one of the world’s most beautiful cities with several of the globe’s greatest players on show. After two days of preliminary rounds (15-16 Jan.) ahead of the main event (17-20 Jan.) now sees 16 male and 16 female seeds joining the players who passed qualification to reach the round of 32 and battle it out for the big prize in Budapest. World no. 1, FAN Zhendong (CHN) will start his Hungarian Open title defence against Kirill GERASSIMENKO (KAZ). The two players met in last year’s round of 16, as the Chinese star and top seed won 4-1. Second seed and world no. 2, XU Xin (CHN) begins his year against Benedikt DUDA (GER) while 3rdseed LIN Gaoyuan takes on Zihao ZHAO in an eye-catching all-Chinese encounter. Following an incredible 2018 culminating in that unforgettable win over FAN Zhendong at the ITTF World Tour Grand Finals in Incheon, Hugo CALDERANO (BRA) will look to start his 2019 in style against 2016 Hungarian Open runner-up, CHEN Chien-An (TPE). Several star European names are also in action: Patrick FRANZISKA (GER), Liam PITCHFORD (ENG), Vladimir Samsonov (BLR), Jonathan GROTH (DEN), Simon GAUZY (FRA) and Marcos FREITAS (POR) joining Swedish trio, Mattias FALCK, Kristian KARLSSON and exciting 16-year-old Truls MOREGARD. In the Women’s Singles draw, there are three eye-catching all-Chinese contests: last year’s Hungarian Open champion, WANG Manyu, takes on CHEN Ke; top seed and world no. 2, ZHU Yuling, faces 2018 World Tour Grand Finals runner-up, HE Zhuojia; 4thseed and 2012 Hungarian Open winner, LIU Shiwen, meets ZHANG Rui. Having finished last year with gold at the World Tour Grand Finals, 2ndseed CHEN Meng (CHN) is now looking to add the Hungarian Open title to her CV. The strongest competition from Europe is provided by Austria’s Sofia POLCANOVA, Romanian pair Bernadette SZOCS and Elizabeta SAMARA, LI Jie of the Netherlands and home favourites from Hungary, Georgina POTA and Dora MADARASZ. POTA will be taking on India’s big hope and 2018 Breakthrough Star, Manika BATRA, in what is one of today’s standout ties.